PU-1107 använder EN Cat6 kabel för att skicka HDMI. PU-1107RX är en mottagare som används ihop med PU-Q1H8CS som är en splitter som kan skicka ut 8 st HDMI-signaler över varsin Cat-kabel. 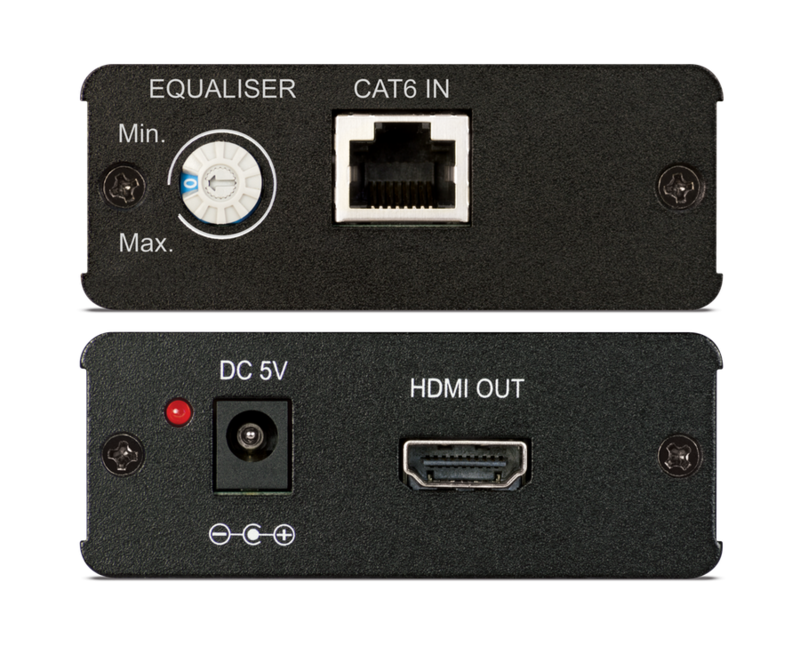 Pure digital v1.3 HDMI over single CAT6 Extender Set with Repeater function The PU-1107-KIT is an uncompressed Pure Digital solution to extend HDMI signals via a Single CAT6 cable. The PU-1107-KIT extender set can be used with the PU-1107EX Repeater to extend the HDMI signal over single CAT6 up to a total of 80m, 40m either side of the repeater. v1.3 HDMI, HDCP 1.1 & DVI 1.0 compliant. HDMI over a single CAT6 (pure digital transmission) . Resolution supported: 480i - 1080p 50/60, 1080p 24, VGA - WUXGA. Supports Deep Color (10 & 12 bit). InputsTransmitter: 1 x HDMI [HDMI Uncompressed AV and Data]. Receiver: 1 x RJ45 [CAT (HDMI) Propriety Data]. OutputsTransmitter: 1 x RJ45 [CAT6 Propriety Data]. Receiver: 1 x HDMI (HDMI Uncompressed AV and Data).